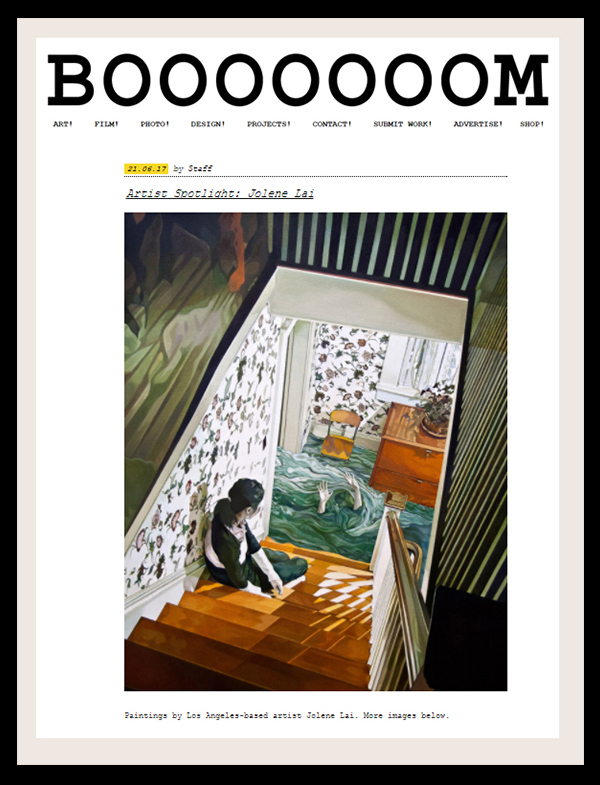 A well-deserved feature, Jolene Lai was recently highlighted on BOOOOOOOM in their Artist Spotlight series. Many of the pieces from Jolene Lai’s most recent exhibition with us, Besides You are featured in the spotlight. We’re thrilled Jolene Lai’s work continues to connect with art lovers. For those who would like to view her work in person, she is currently a part of both of our summer museum exhibitions, Flourish at Mesa Contemporary Arts Museum and Juxtapozed at Fort Wayne Museum of Art. To view all available work by Jolene Lai, visit the Thinkspace Gallery website. 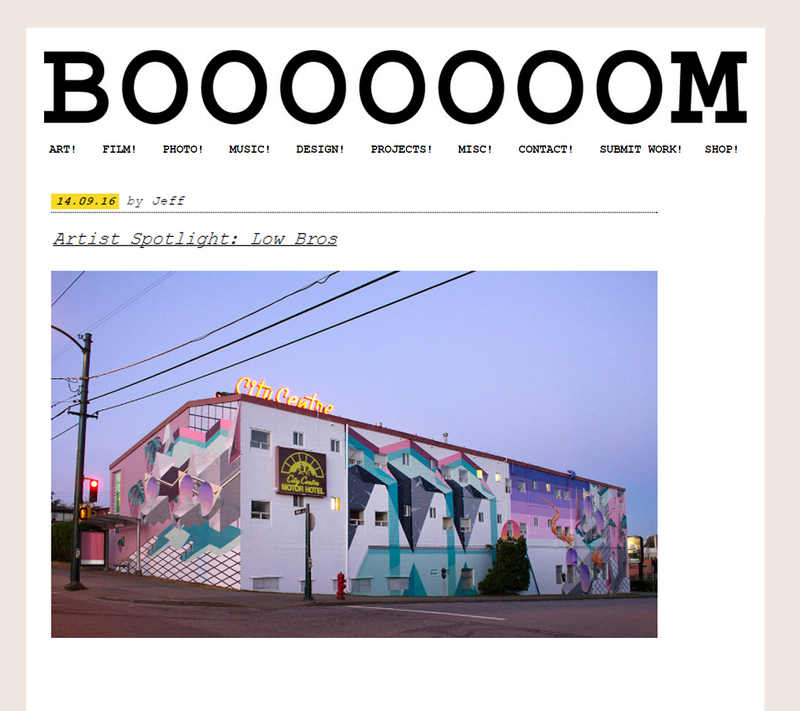 Artistic duo and Thinkspace Family members the Low Bros are in the artist spotlight on BOOOOOOOM. The piece features new work from their upcoming show in Hamburg at Golden Hands Gallery and a fresh mural. Visit booooooom.com for the artist spotlight and Thinkspace Gallery’s website for all available work from Low Bros.